Andrés Muñoz Alarcón was born in the city of Guadalajara, Jalisco in 1989. he studied Architecture at the Universidad Iberoamericana in Mexico City, graduating with honors in 2012. Before receiving his degree, he undertook an Intensive Course in Interior Design at the Pratt Institute, New York. 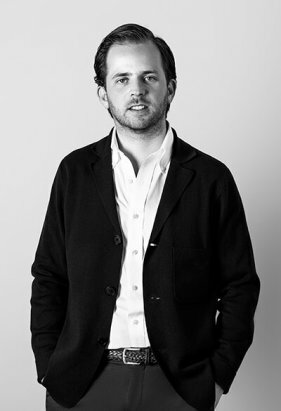 For 4 years he has played an important role as part of the architecture team at Sordo Madaleno Arquitectos. In the course of his work with the firm, he has designed projects of international significance including Reforma Colón, the proposal for the New Mexico City International Airport, and the Mexican Pavilion for Expo Milan 2015. He has also managed other major projects by the firm, such as Torre Volga in Monterrey and The Landmark in Guadalajara. He considers the latter a key project in his evolution at Sordo Madaleno Arquitectos, since he was involved from the earliest concept drawings to management of the construction. Thanks to his ability to understand all of a project’s requirements, he has been placed in charge of developments of great complexity, reaching the position of new Project Director, where he is starting to engage directly with clients and to direct projects from the concept stage through to execution. He commenced his professional experience as a architect working on a grant at HEMAA Arquitectura in summer 2010 in Mexico City, and subsequently with the firm JAGAR Architecture in Los Angeles in summer 2011.